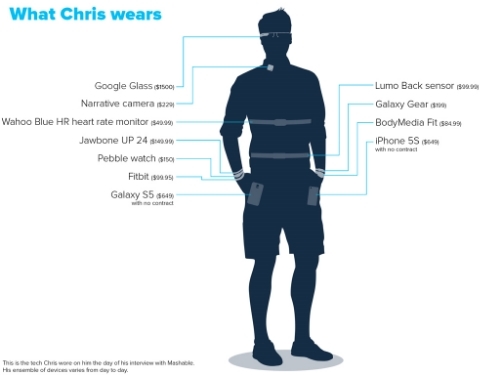 Mashable created an infographic of the devices I wore between 2013-2014. 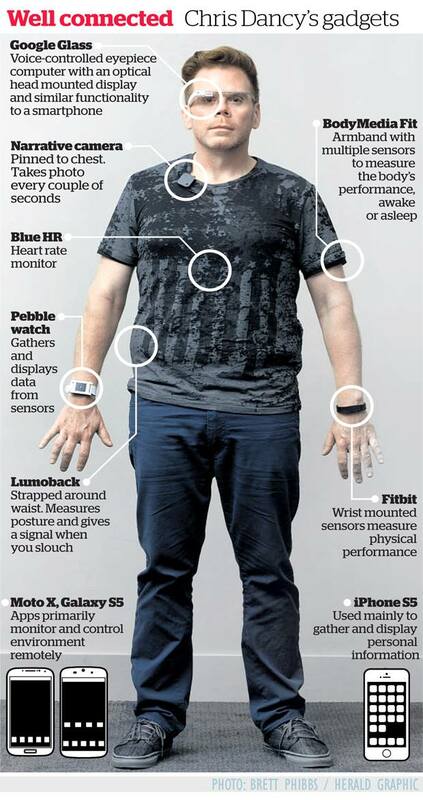 News paper in New Zealand's take on my devices in 2014. 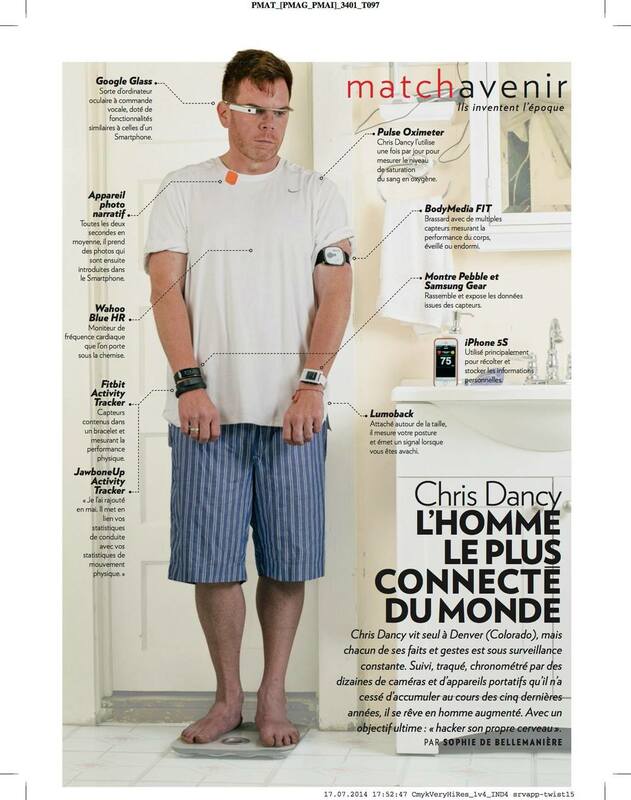 Devices on OR close to the body that have a connection to my phone, home, other devices or the internet are wearable computing. A local mesh network of devices that I refer to as the "inner-net" when working in conjunction with each other. In the 90's we sometimes referred to small networks as PAN or personal area networks. Services drive the data through to other systems such as data to repositories, organization or backup / archive services. I used thousands of services and application/services to drive data around my life. A sample list of essentials for me is below.